Nose: Seduces with fragrances of white flowers. A hint of honey, slight aromas of almond paste and of frangipane. Palate: The attack is round and fluffy, one crunches quince or plum, before a final delight of pastry. Delights with a long satisfying finish. Martell Reserve Borderies Cognac is from the smallest, but for many, the most sought after terroir of the Cognac region. Covering only 4,000 hectares of unique soils, the Borderies produce eaux-de-vie that is light, floral, and characterized by notes of violets and iris. This blend is both aromatic and seductive. It takes the tastor on a true sensory journey - from the deep color of a Napoleon aged Cognac, through the delicious aromas, to the ever-changing palate. And of course, it ends in a long, satisfying, almost sweet note with hints of chocolates and french pastries. 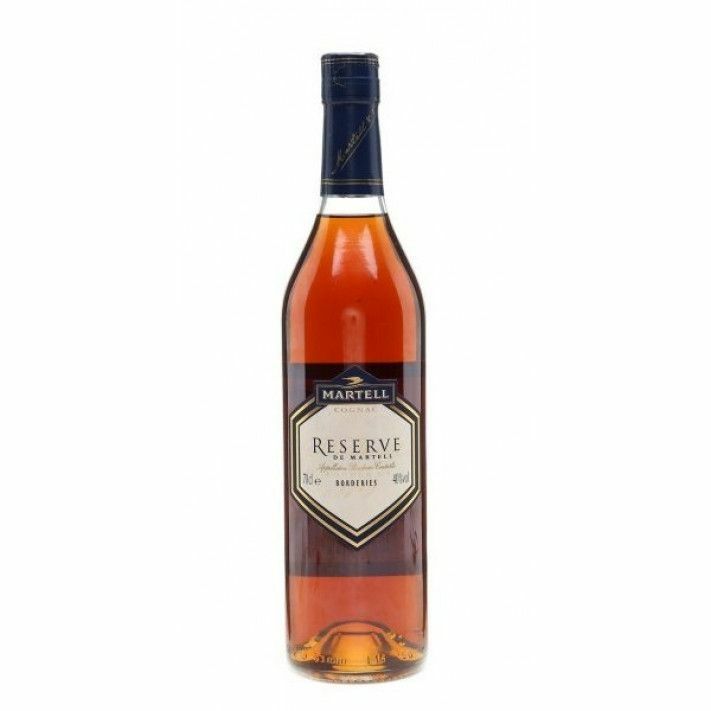 Enjoy this excellent value Martell Cognac neat, in the traditional manner as a digestif. Or for a subtle change, drop in a couple of rocks of ice and revel in the subtle aroma and flavor changes this brings.